I’m not very familiar with the first Doctor Who. I’ve watched a couple of episodes with him in them, but they are very different from the current episodes. He isn’t my favourite Doctor, but without him the show may not exist today. The actor who played the Doctor got dementia, so he could no longer act on the show. They had him “regenerate” into a new actor. It was a clever way to keep the story going for 50 years. I didn’t like the way the Doctor was portrayed in this story. He spent a long time obsessing over his new strange claw hand thing. He looked for weapons to fight the bad guys, when the Doctor is supposed to be a peaceful figure. He didn’t seem like the character I know. He may have changed over time, but this version isn’t right for today’s audience. The narrative was strange. It kept switching from the Doctor’s perspective to the perspective of other characters. It was all done in third person, but the narrator knew everyone’s thoughts. I don’t like this style, because it isn’t focused on one character. It is too broad. I didn’t like this story, but I hope I like the others in the 50th anniversary short story collection. 1st Blogiversary And 600 Followers! Giveaway Time! Today is my 1st Blogiversary! I’ve written a book review everyday for the past year! I’m so thankful for all of my followers! Thank you to everyone who takes the time to read my reviews everyday. Also, as of today, I have 600 followers, which is just amazing! As a thank you to everyone who has supported my blog and to celebrate my first year of blogging, I am doing a giveaway! The winner will receive any book worth $20 or less from the Book Depository. Open to residents of any country where the Book Depository ships. Author jilljemmettPosted on April 1, 2018 April 1, 2018 Categories Blogiversary13 Comments on 1st Blogiversary And 600 Followers! Giveaway Time! This is a character driven novel. It’s not my favourite kind of story. I prefer a strong plot. But others will probably enjoy it more than me. I liked the quirky characters. Penny was funny, and I loved how she was always so prepared. Sam was a tragic character. They both grew up in single parent households and faced some struggles. Jude and Mallory were the opposites of them, because they seemed like they had everything together. These contrasting characters were great. It took a long time for the story to start moving forward. For the first hundred pages or so, the characters kept reflecting on things that happened to them in the past. I kept wondering where the story was going. For me, that was too long to start the main storyline. Unfortunately, this book wasn’t for me, but I’m sure many other readers will enjoy this style. I enjoyed this second volume in the new Black Panther series. This story jumped right into the action, since the characters were introduced in the first volume. T’Challa appears much more conflicted between leading his country and protecting his people. Meanwhile, he needs to try to get his sister back from Wakanda’s collective memory, which is like an in-between world. The Black Panther has to face all of these challenges, so he brings in some help from other superhero friends. I loved the cameo appearances by other Marvel superheroes. He asks Tony Stark, AKA Iron Man for help. He also brings his friends Storm, Eden Fesi, Luke Cage, and Misty Knight into Wakanda. It was interesting to see him interact with these other familiar characters. I also enjoyed the two vintage comics at the end of the volume. They show the original comics featuring the Black Panther, so we can see how he has changed and how he has remained the same over the decades. This is a great second volume in the series! I loved this book! I couldn’t put it down! This story was very fast paced. The chapters were short, which made the story fly by. There was even a little twist in each of the chapters. The story was so addicting, I never wanted to stop reading it. This story reminded me of Sara Shepard’s series Pretty Little Liars and The Lying Game. There was a lot of teenage drama, but there was a lot of mystery about the end. Jess was on her own in figuring out what exactly happened to her sister. I love this kind of thriller. They are mysterious and unpredictable, but also relatable because of the high school setting. I loved this book! I highly recommend it to fans of YA thrillers! 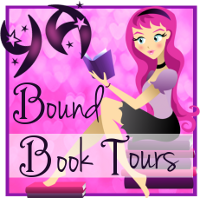 Thank you to Fantastic Flying Book Club for letting me participate in this blog tour. This collection of original stories by today’s finest women writers—including Tracy Chevalier, Francine Prose, Elizabeth McCracken, Tessa Hadley, Audrey Niffenegger, and more—takes inspiration from a line in Charlotte Brontë’s most beloved novel, Jane Eyre. Tracy Chevalier, Tessa Hadley, Sarah Hall, Helen Dunmore, Kirsty Gunn, Joanna Briscoe, Jane Gardam, Emma Donaghue, Susan Hill, Francine Prose, Elif Shafak, Evie Wyld, Patricia Park, Salley Vickers, Nadifa Mohamed, Esther Freud, Linda Grant, Lionel Shriver, Audrey Niffenegger, Namwali Serpell, and Elizabeth McCracken. This is a great collection of short stories! I loved the stories that expanded on the original story of Jane Eyre. “The Mirror” tells about the marriage of Jane and Rochester. In that story Rochester tries to convince Jane that she made up his mad wife in the attic, which makes Jane question if she is going mad herself. In “Reader, She Married Me,” Rochester tells his side of the story of his marriage with Bertha. He loved her so much, and ended up marrying Jane because she wore him down. These are both fascinating takes on the classic story. Some of the stories weren’t obviously about Jane Eyre. One of those was “The Self-Seeding Sycamore,” which was about a woman who had to fight with her neighbor over an invasive tree between their yards. It didn’t have an obvious Jane Eyre theme, but I still enjoyed reading it. This collection is a must-read for fans of Jane Eyre! This is another great collection from Sarah Andersen. The best part about her comics is that they are so relatable. There were also a lot of comics about the struggles of being an artist. My favourite one was where artists are compared to actors and musicians. Both actors and musicians become more glamorous when they become famous, but artists are still at home, sitting at their computers. This collection ended with some commentary about becoming an artist. Sarah talks about how the internet has changed and become more negative since she began her career, but it’s still an important tool for young artists. My favourite part was when she said that you shouldn’t be so hard on yourself. If you wouldn’t say it to someone else about their work, don’t say it to yourself. This collection was entertaining and inspiring.